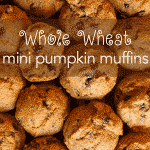 Whole Wheat Mini Pumpkin Muffins. 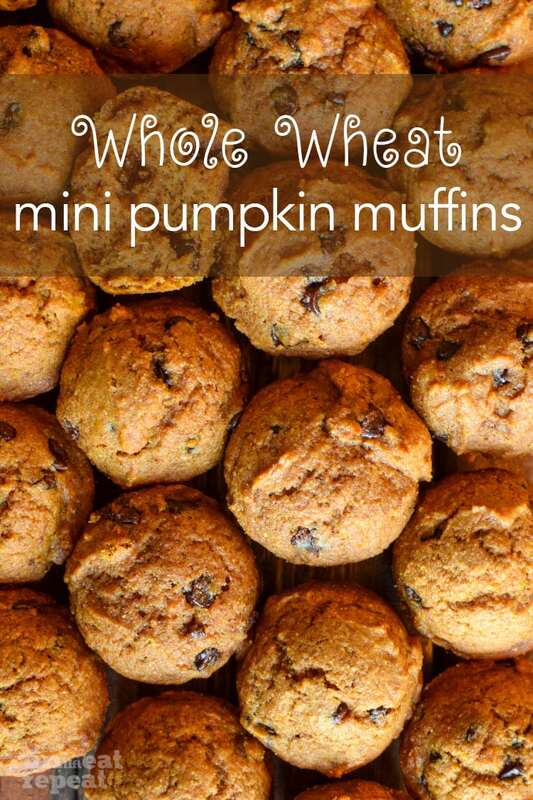 Made with whole wheat flour, zero refined sugar and dairy-free! Oh hey! It’s nice to be back— I took a little bit of a break but I’m back and refreshed! I’ll get more into why in a few days. Before we chat about these muffins, I want to take a second to offer my thoughts, prayers and hope to everyone in Florida affected by the hurricane. While we’re getting hit with a tropical storm here, it’s not nearly what Florida has endured. My heart pours out to each of you as I sit here glued to the news and social media seeing photos and videos of the wreckage. Over the past week I’ve seen so many Florida license plates and my heart breaks for you— leaving your home behind is not easy and going back to a home destroyed is even harder. But I hope that we can all help in some way to those in need, whether it’s donating $$, sending food, or sending supplies (for the animals too!) For anyone interested, I will soon share the ways that you can help donate. Confession. I made these mini muffins a few months back and since have made a few combinations non-stop. As I’m typing this, I’m eating another variation. I had zero intentions of posting them on my blog because well, it’s just a muffin recipe. I made them to bring to a few friends (not weird, right?) and each raved about them. That’s when I knew I need to bake them up again, take a few pictures and share the recipe with you. Typically most whole wheat (or healthier) muffins are dry and bland but not these. I’ll quickly run through a few of the ingredients to give you some insight on how I was able to keep the calories low but keep the moisture and flavor in. I used whole wheat flour for healthy wholesome goodness but the key is to sift it— sifting will get some air into the flour to make the muffin light and fluffy! I also used unsweetened almond milk to keep it dairy-free. There’s no refined sugar in these mini muffins, instead I used a combination of honey and just a small bit of pure maple syrup– just enough to slightly sweeten. To keep them moist (it had to be said) I used melted coconut oil. Don’t leave it out! A touch of it helps keep these super moist and help with them tasting good. It gives the muffins a rich, tender texture but keeping them on the lighter side. Preheat oven to 350°F. Spray two mini muffin pans with nonstick cooking spray (I use coconut oil.) This recipe makes 36-40 mini muffins. Set pans aside. In a large bowl, sift together the flour, baking powder, baking soda, cinnamon and pumpkin pie spice. Set aside. In a medium mixing bowl, whisk the eggs, honey, maple syrup, pumpkin puree, melted coconut oil, vanilla and milk together until combined. Pour the wet ingredients into the dry ingredients - stir a few times, then add the mini chocolate chips. Fold everything together gently until combined. Don't overmix! Fill muffin cups around 3/4 the way full - it's about 1 heaping Tablespoon of batter per muffin. Baking for 12-13 minutes or until a tooth pick inserted into the center comes out clean. My muffins took 12 minutes. Remove pans from the oven. Allow muffins to slightly cool before enjoying. Make ahead tip: Muffins stay fresh in an airtight container at room temperature or in the refrigerator for about a week. Muffins can be frozen up to 3 months - thaw overnight in the refrigerator. Previous Post: « The Gym Should Be Your Safe Space.